I received this set as a gift (after serious hinting) from my husband for Valentine''s Day. The pictures do NOT do it justice! 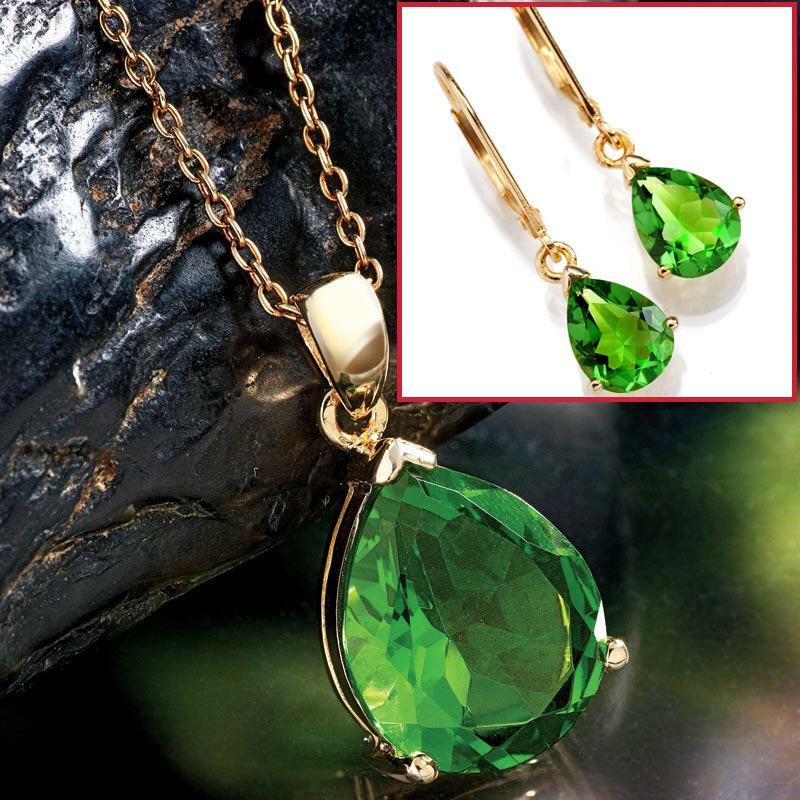 It is so beautiful, and the shade of green it perfectly between a good peridot and an emerald or a chrome diopside.The lever-back earings are visually stunning and can''t be missed without weighing a ton & dragging your earlobes down. I so love this set, I''ve worn it everyday since I got it!You won''t be disappointed! I received this necklace as a gift and wear it often. I agree, the color is what makes it striking. For almost a hundred years it lay dormant. Silently building its strength. At 10,000 feet high, it was truly a sleeping giant, a vision of peaceful power. Until everything changed. In one cataclysmic moment, the once-slumbering beast awoke with violent force. May 18th, 1980 will forever be remembered as one of history's most impressive displays of nature's power. On that day, Mount St. Helens erupted, sending a column of ash and smoke 80,000 feet into the atmosphere. But once the chaos cleared, something beautiful was discovered. A brilliant green creation was produced from the heated volcanic rock dust. Named Helenite after the mountain from which it was born, its vivid color and amazing story have captured the attention of jewelry designers worldwide. 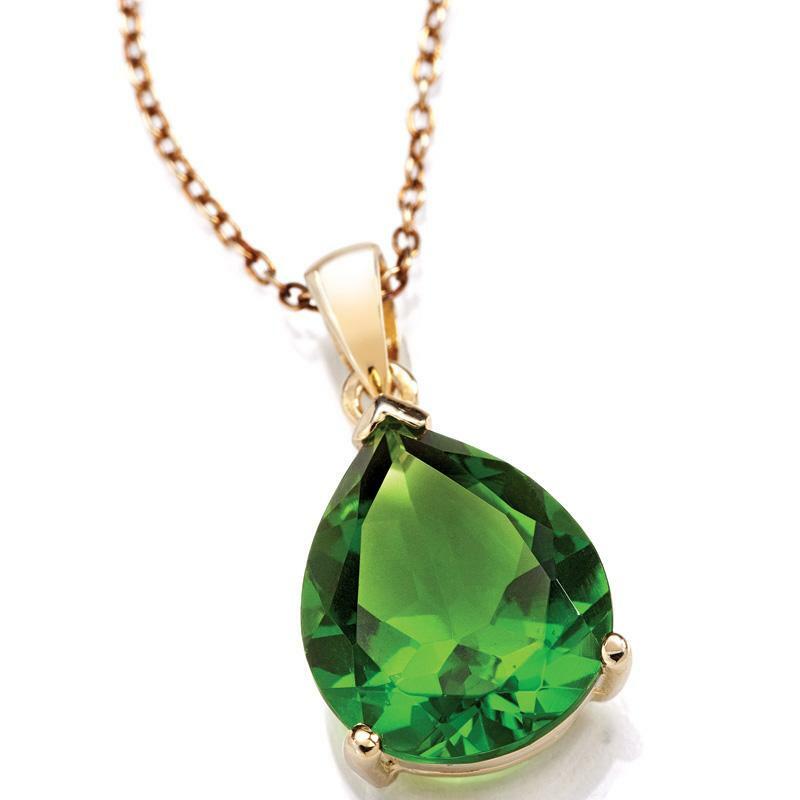 Our Helenite Necklace puts the gorgeous green stone center stage, with a 6 ½ carat faceted pear-cut stunner delicately prong set in gold-over .925 sterling silver. The explosive origins of the stone are echoed in the flashes of light that radiate as the piece swings gracefully from its 18" gold-plated sterling silver chain. 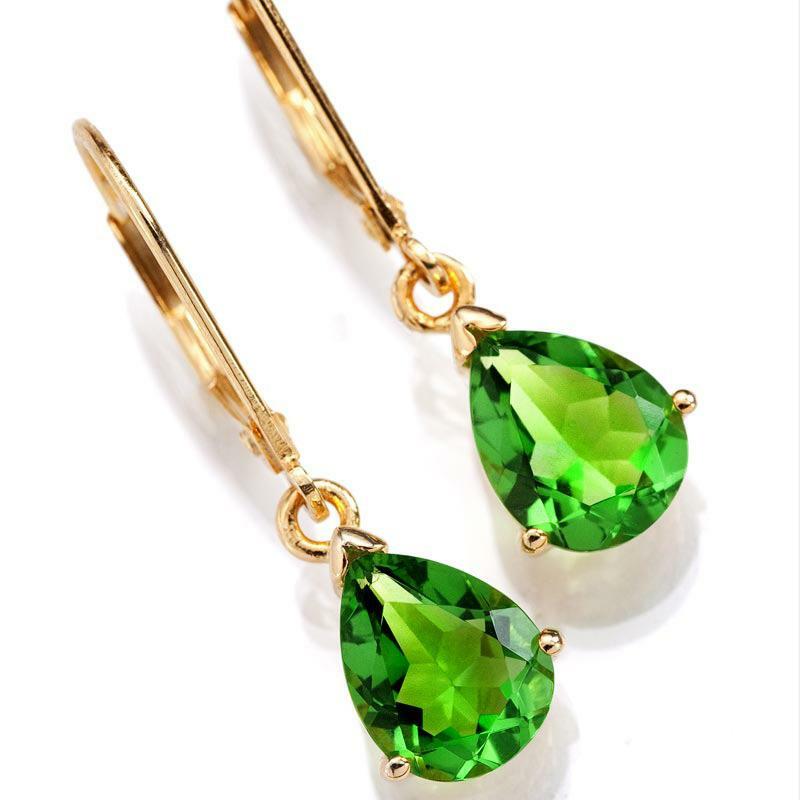 And the 3 carats of Helenite in the matching earrings erupt with the same green fire. A unique piece of natural history.